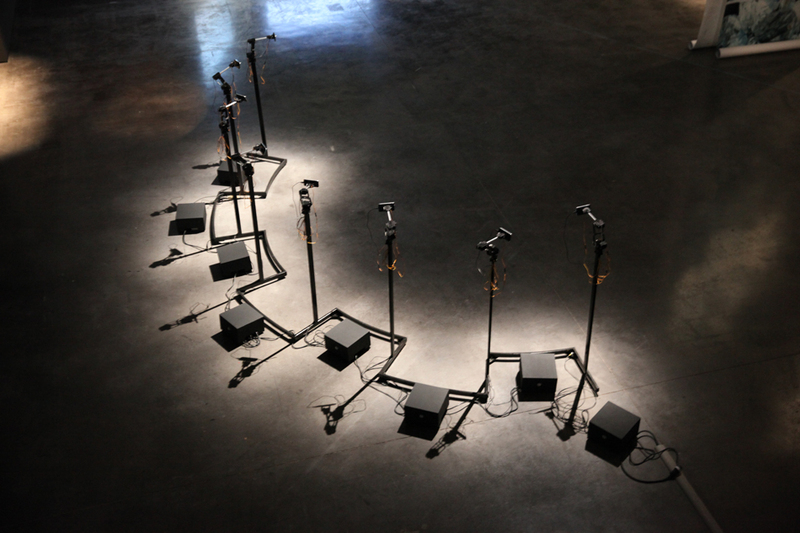 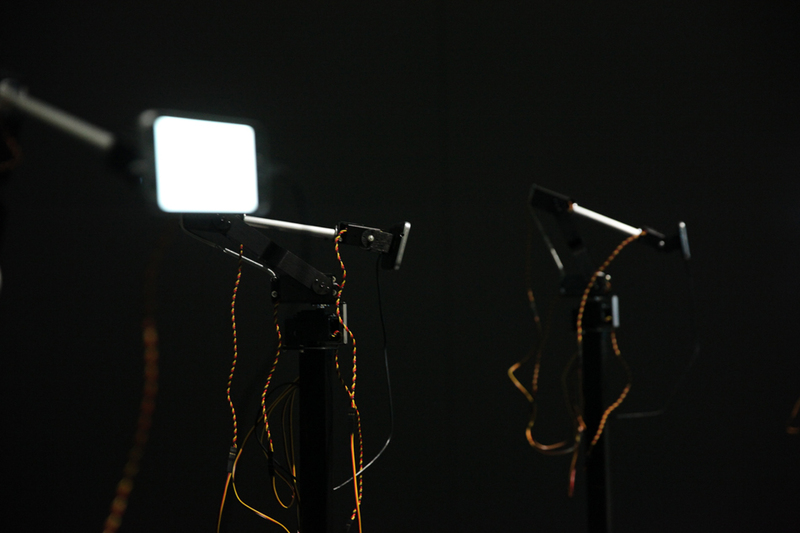 Generative installation / Robotic sculpture. 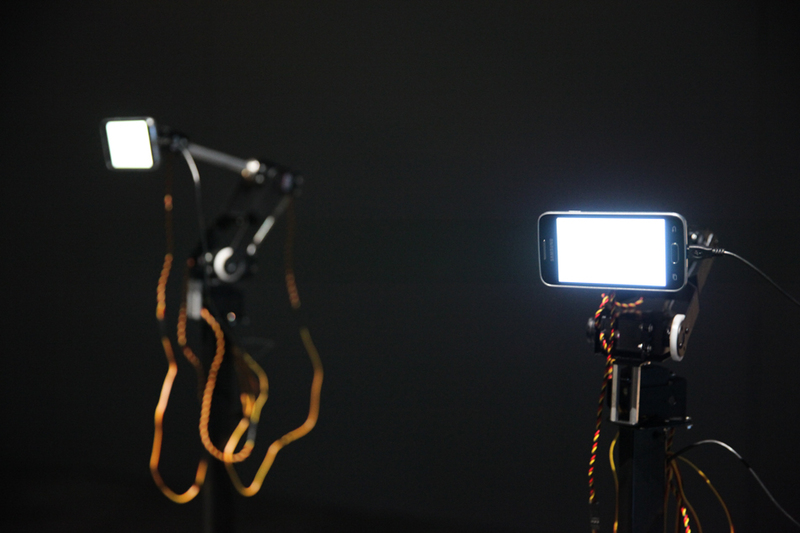 8 smartphones, 8 robotic arms, specific program on computer. 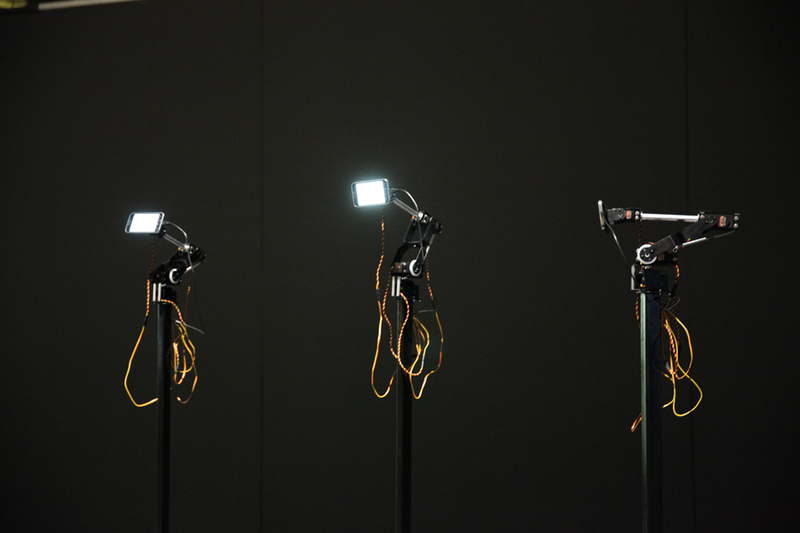 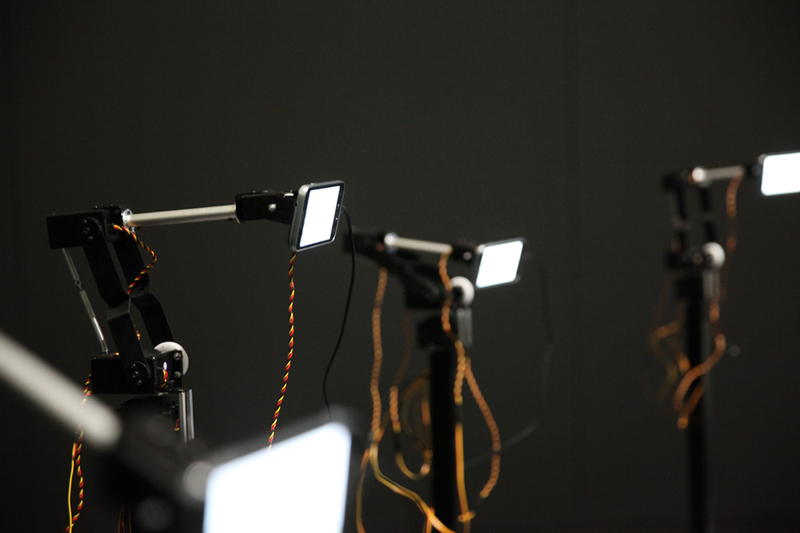 8 smartphones on 8 robotic arms are interpreting a text generated in realtime from the Bible. 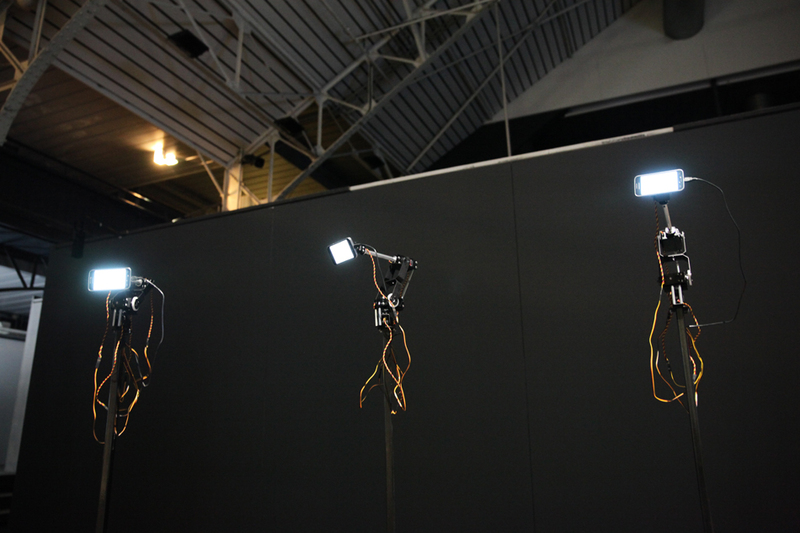 Production : Le Fresnoy-Studio national des arts contemporains - 2016.